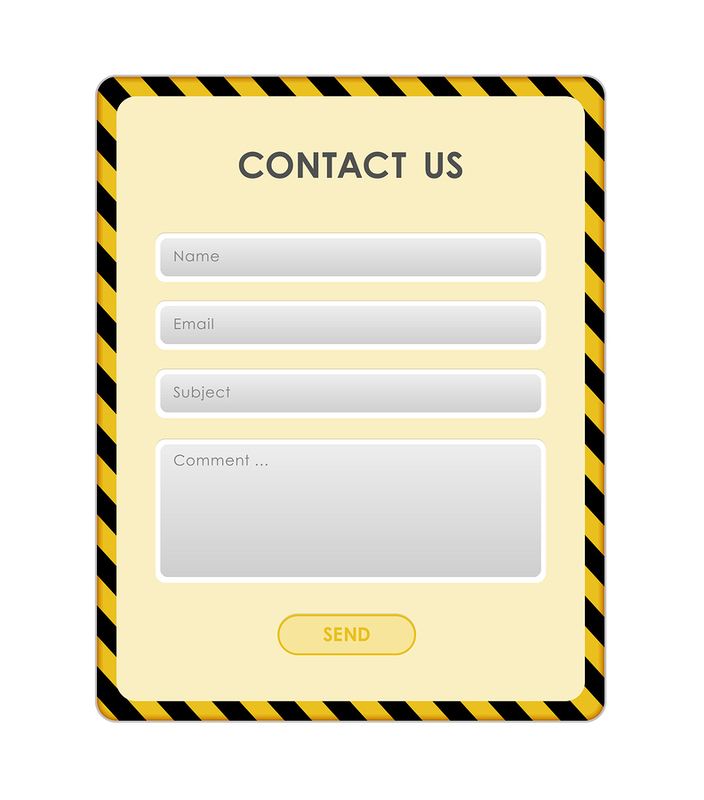 Does your website have a contact form? Do your web visitors ever use it? If that sounds like you, and if you’re interested in sharing in a few of the secrets we’ve learned over 15 years and 200 web designs, please read on. Should My Website Have a Contact Form? Let’s start with the obvious. Why bother with a contact form at all? Isn’t my email address enough? No, not really. A plain email address is often more of a barrier than an invitation. Think of it like a blank piece of paper staring up at you, waiting to be written on. For many people that’s a daunting prospect. They don’t know how to get started writing an email from scratch to a stranger. There’s also a technical barrier. A clickable email address assumes the person visiting the website has their email account set up in a traditional email program like Outlook, Windows Mail, Thunderbird, and the like. If, like many people today, they use only a web-based system like Gmail, your email link simply won’t work for them. In fact, it will cause a confusing error. By the time they’ve sorted that out, they probably won’t care about contacting you anymore. And by listing your email address on your website, you’ve also given it away to every spammer who wants to annoy you with junk mail, but that’s another story. Why Doesn’t Anyone Fill Out My Contact Form? While this is a complex subject, even knowing a few fundamental “dos and don’ts” can make a big difference, and based on what we see online, website owners and designers ignore these rules every day. Did You Ask Them To? Want to learn more about how painless your dental experience can be? Visit our Sleep Dentistry page. When it comes to your contact form, you need to ask people to use it. For help overcoming your tax problems, complete our Contact Form today! An experienced CPA will be in touch with you as soon as possible. 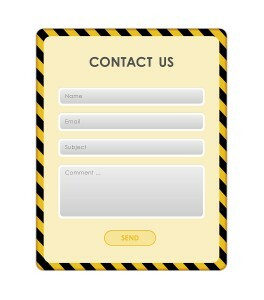 In addition to having a “Contact Us” option in the website’s menu, you should be encouraging people to use the contact form on every page of your site. But not only that, your call to action for the contact form should be placed in a very specific location space on each page. It’s not a geographic location, so many pixels down and so many pixels across; rather it’s a conceptual space. After your web copy has sympathized with the problem, crisis, or need of your web visitor, and after the solution to the problem has been described, and after the argument has been made that your business or service is the best provider of the solution; now you can ask them to complete the contact form. You might even double up your call to action by adding your phone number in the mix. Our service team is standing by. Call us at 555-856-9821, or visit our Contact page for the help you need. Do it today. Did You Ask for Too Much? The natural inclination of everyone who visits your website is to give you as little information as possible. Or course, you want as much data as you can get. You need to know a lot to set up that bus tour, quote that dumpster, or find the right insurance package. In the tug of war between web visitor and form maker, let the web visitor win. It’s true: the more you ask for, the less often anyone will use the contact form at all. Keep it short. When you do ask for things, make it easy. Use check boxes and radio buttons targeted at the customer’s perceived need for service, not your need for data. Visitors are more willing to click a few checkboxes telling you that they need help with: tree trimming, at a residence, after a storm than they are to fill in their address, the best time to contact them, and their home phone and cell numbers. While there is no perfect rule for every form, short is best, and ask for as little personal information as possible, just enough to get back in touch with them. After all, if they make contact and you start a conversation, you can find out everything you need in a more personal way later. People are impulsive. That’s why grocery stores sell candy and drinks in the checkout aisle. You can take advantage of this behavior, too. Consider placing a very short, direct contact form on every page of your site. Provide no more than a few quick checkboxes to clue you in to the visitor’s need and ask for the minimum you need to reply, perhaps a phone number or an email, but not necessarily both. Have you ever tried to fill out a form and been asked to type a word and/or numbers before being able to click submit? That’s CAPTCHA, and its purpose is a good one, to keep spambots from filling out forms with garbage and even trying to attack sites through their contact forms. Nevertheless, anything (we repeat anything) extra that you ask a web visitor to do decreases the odds that they will do it. To the average web visitor CAPTCHA is a pain and it benefits you, not them. If your contact form is suffering from severe spambot attacks, yes, you should consider using CAPTCHA. If you receive a handful of junk contacts once in a while, just hit delete. Some visitors won’t fill out your Contact Form because they worry their email address will be sold to a hundred other companies, or even that your company will begin emailing them every other day. When someone does complete your Contact Form, it should take them to a “Thank You” page. Think about that. You now have someone who took the risk and time to contact you. Ask yourself: what can I do now, in addition to saying thanks, to reward that behavior and enhance the opportunity for engagement? There’s no one answer, only the opportunity to be imaginative. You might give a phone number and the hours the number is manned, encouraging them to call for immediate help. You could offer a download link with additional information, provide the opportunity to enter a contest, give away a freebie, or provide an interesting offer or coupon. Contact forms can be very effective in acquiring leads from your website, but like any other aspect of web marketing, it takes some thought, experimentation, and imagination to make your contact form a success. Whatever you do, don’t do it once and think you’re done. Track the success of your contact form by keeping a log of changes, even subtle adjustments, and whether or not form use went up or down when you made the change. Over time, you can hone your contact form(s) into useful tools instead of forgotten add-ons that no one ever sees or, more importantly, uses.